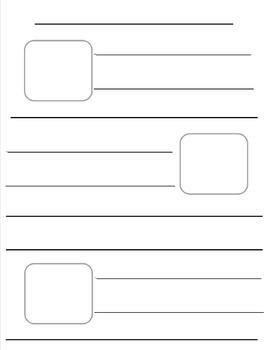 What Form of Writing Should I Use ? 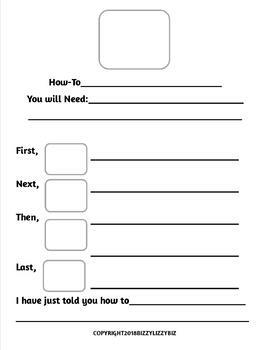 This Literacy skill can be a bit....well...tedious and, for some of your students -BORING!!! 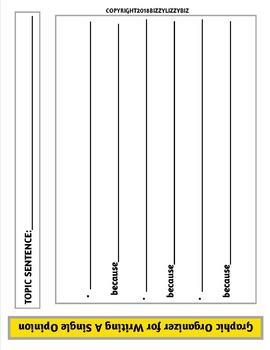 Using Conversation, oral Story-Telling, Debates & Show-Me-How directions can lead to Written Expressions for all of the above AND Meet Primary Level's Writing Expectations! Meeting Primary Level's Writing Expectations : A Practice Toolkit for the 4 Forms of Written Expressions is an easy-to-use guide full of information, ideas, tips & suggestions for encouraging your young authors to use those developing fine motor skills and write the next Great Novel, Presidential Speech and/or Debate as well as How-To Colonize Mars. 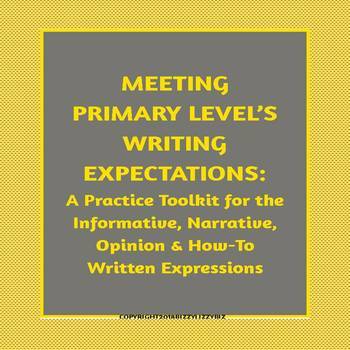 Addressing the 4 specific writing forms: the Informative, Narrative, Opinion ,and How-To Written Expressions your students are expected to use, this Toolkit will guide you, your students, and, maybe your helpful parents How-To successfully meet those writing objectives. Let me hear how those Writing objectives are gliding by.